There are 5 key sections, which help encourage people to read your blog - which then makes it possible for them to read the posts. You'll want to size each element carefully, to use a minimum amount of space - and deliver a maximum result. Note that different templates will display each section differently. Both the dynamic templates and new, responsive templates offer exciting alternatives. The blog address (name, URL). The address absolutely must be unique, for each blog. Some people would like the blog name to have the same words as the blog title. Since the blog title generally reflects the subject of the blog (which is not always unique), and the name must be unique, this may not always be possible. The Address (Name) is visible to people, and to search engine crawlers. Note the dichotomy with the Title (name). The term "name" is used, ambiguously, to refer to both Address, and Title. Also, you'll find both "Address" and "URL" used, interchangeably. You change the Address, using the Publishing wizard, in the Settings - Basic dashboard page. You should plan an address change, carefully. The requirement that addresses must be unique is a supposed benefit of vanity top level domains - but vanity TLDs, alone, will not provide uniqueness. There will always be competition for some popular names, in every Top Level Domain. This is the most important, and brief, detail about your blog, which targets people, directly. It tells your potential reader what the blog is about. The Title (Name) is visible to people, and to search engine crawlers, if the standard page header ("Header1") is used, on the blog. Note the dichotomy with the Address (name). The term "name" is used, ambiguously, to refer to both Address, and Title. You change the Title by Editing it, on the Settings - Basic dashboard page. You can change the Title, at your convenience. Some blog owners would like the blog title to have the same words as the address - but this is not a necessity - and in some cases, may not be possible. You may need a title similar to other blogs (many blog subjects will have multiple blogs published) - even though the address must be unique. 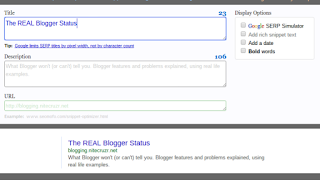 The title lets you describe what the blog is about, using up to 100 text characters. To fit cleanly into a SERP section, it would be best to keep the title at 50 characters, maximum. You can add more detail, using the blog description, and the blog search description. If you want anything more visually descriptive that a 100 character simple text phrase, you'll need a custom header for the blog. If you use a custom header, with visually complex formatting, or fancy graphics, you will still want to provide the blog title for the search engines. The Description is the extension of the Title. The standard Description, set from the dashboard Settings - Basic page, is a 500 character, rich text, description of what your blog is about. You can say a lot about a blog, in 500 characters, with bold and italics, and paragraphing based on careful use of "<br><br>". The Blog Description is visible to people, and to search engine crawlers, if the standard page header ("Header1") is used, on the blog. You change the Description by Editing it, on the Settings - Basic dashboard page. You can change the Description, at your convenience. If you want to display anything more descriptive than 500 character rich text, you'll need a custom header for the blog. If you use a custom header, with fancy graphics, you will still want to provide the blog description for the search engines. If you use rich text with bold, italic, and line breaks, you should test carefully. What looks good in a Blogger formatted online display may not look as good, in a feed or SERP display, produced outside Blogger control. The blog address, title, and description attract your readers, using a Search Engine Result Page entry. The main page display has to interest your readers, once they click on a link to your blog - and encourage them to read the posts. This post, as seen recently, in main page view. The main page, in a properly designed blog, will use a series of Jump Break sections, one section per post. The main page content will provide samples what the blog is about, with more force than the title or description. Jump Breaks are added on a post by post basis. Jump Break is one of many different "Read More" features - but only "Jump Break" produces clean, easy to designate Jump Breaks. If your blog main page length fluctuates, only "Jump Break" will help. 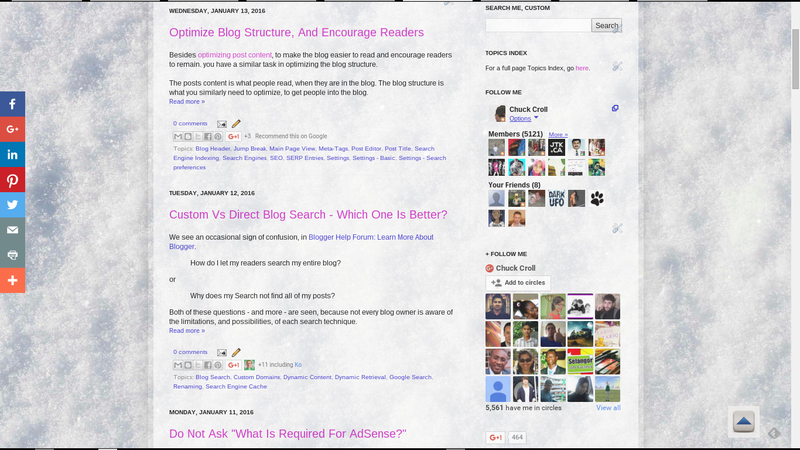 The main page is the most dynamic portion of the blog, it changes each time you publish a new post. 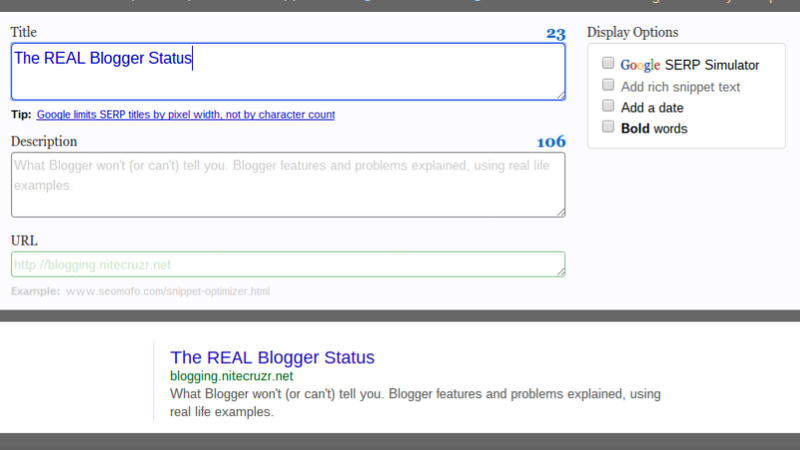 You can set main page size, using the "Configure Blog Posts" wizard or the dashboard Settings - Posts and comments page. I like to keep my posts column and sidebar approximately the same length, for a cleaner display. Using Jump Break makes this possible. This strategy may be more or less effective, for any given blog. Along with the blog address and title, the blog search description becomes part of the SERP section which lists the main page. It complements the individual post search descriptions. 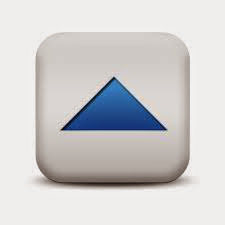 The Search Description is visible to search engine crawlers and other robotic processes. It's what gets read, when a search engine bot indexes the blog from a link to the blog, from another blog or website. And it's part of some SERP entries, which help to attract new readers. Note that the search description, displayed in a SERP entry, is subject to content in the text indexed. If the blog is behind a Content or Redirect Warning, the SERP may display text from the warning. The warning text won't always be pleasing to your potential readers. You change the Search Description by Editing "Meta tags - Description", on the Settings - Search preferences page. You can change Search Description, at your convenience. Like the individual post search descriptions, you'll want to keep this sized carefully. But avoid using meta keywords - which won't help search reputation. The Google SERP Snippet Optimization Tool. 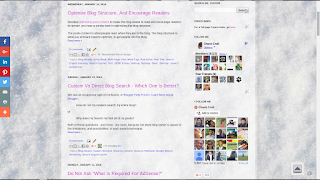 As with post SERP optimization, blog SERP optimization is a good idea. Use the SERP optimization tool yourself, and see the results. The search engine indexing content, the SERP display content, and the main page display in the blog, attract readers to the individual posts. And properly chosen dynamic accessories help readers find desired content.